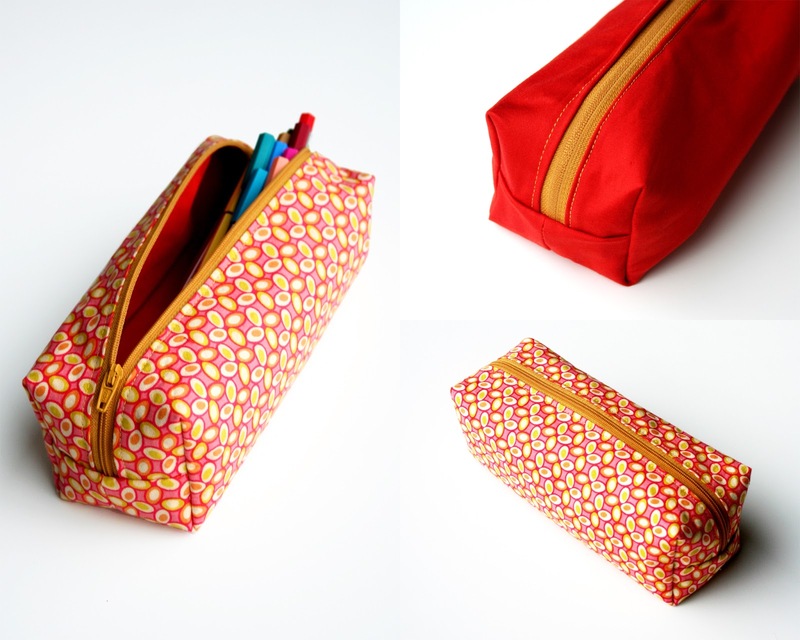 The making of this pencil pouch -my first ever!- was fun. At the exciting moment of turning it, I was surrounded by quite some kids, who looked at the pouch as looking at a play. They were surprised that a wad of textile can turn into a common object. Thanks Spiegelstiksels and Oon for helping me! Especially the first tutorial was useful to me, but the cut corners didn't align one hundred per cent. I just trimmed them a bit to make them align. No problem! Upper right: I turned it inside out to show you the red inside. This prototype was a birthday present for L's friend next door. I'm sorry, Jil, that I forgot to add the tabs. And next time I'll use interfacing for both outer fabric and lining. I'll make you an improved one as well. Btw, can you believe that these are M's very first felt pens? Sinterklaas gave them to her and she's happy! the first one? en ze zien er zo "recht" uit! Knap gedaan - mijn eerste pennenzakjes waren behoorlijk scheef eigenlijk. Wauw, hij is echt super goed geluk!